The Master of Engineering (MEng) option lets you specialise your degree with a range of options and provides you with the educational requirements needed to become a Chartered Engineer. You will be trained to lead multidisciplinary teams in the development of complex systems, including in sustainable power generation, power-trains for automotive vehicles, and jet engines for aircraft propulsion. At Sussex, we undertake world-class research, which enriches your teaching. Our Dynamics, Control and Vehicle Research Group and the Thermo-Fluid Mechanics Research Centre, develop innovative concepts in vehicle technology and efficient aero-engines, among other things. You’ll study in our Future Technologies Labs that incorporate computer suites and new automation/robotics facilities. 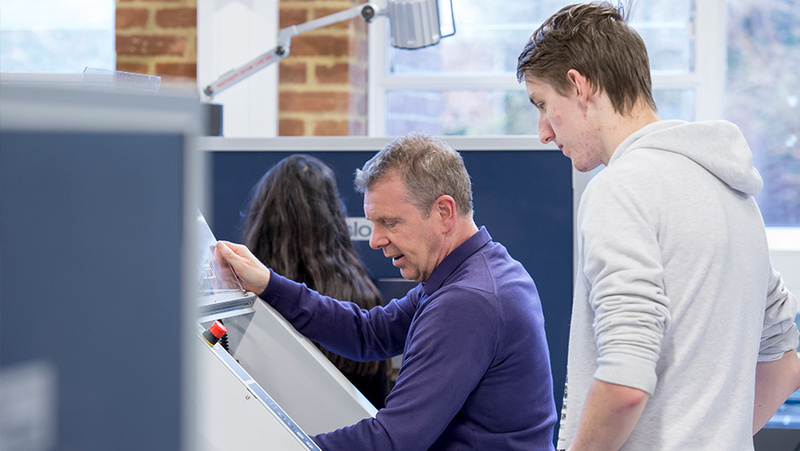 There is a dedicated manufacturing lab with state-of-the-art facilities such as CNC machines and 3-D printers. 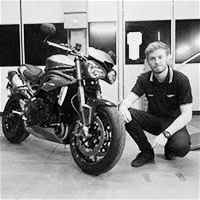 You'll be able to specialise in subjects such as CAD, computational fluid dynamics through optional modules and work on areas such as control, vibration, tribology, or aerodynamics through project work including Formula Student and Wind-driven car projects. We have dedicated academic advisors to support you during you time at Sussex and also a team of student mentors. You will also be welcomed into our active, student-run engineering societies. We also offer this course with an industrial placement year, as a three-year BEng, or as a four-year BEng with an industrial placement year. Find out about the benefits of an integrated Masters year. You should have a broad range of GCSEs grade 9-4 (A*-C), including good grades in relevant subjects. Pass in the Access to HE Diploma with 45 level 3 credits at Merit or above, including 30 at Distinction. You will normally need A-level Mathematics, grade B, in addition to the Access to HE Diploma. All Access applicants will be assessed on a case by case basis. If you have one A-level and two Cambridge Pre-U Principal Subjects we would expect you to have grade A at A-level and, D3 and M2 in two Pre-Us. If you have two A-levels and a Cambridge Pre-U Principal Subject we would normally expect you to have grades AB at A-level and D3 in Pre-U. You must have either Mathematics at A-level grade B or Cambridge Pre-U Principal subject with a least M2. You should have a broad range of GCSEs grades 9-4 (A*-C), including good grades in relevant subjects. 34 points overall from the full IB Diploma. Higher Levels must include Mathematics, with a grade of 5. For entry in 2021, either Mathematics: Analysis and Approaches or Mathematics: Applications and Interpretation at Higher Level will be accepted. Grade A in A-level and DM in Pearson BTEC Level 3 National Diploma. Grades AB in A-levels and Distinction in BTEC Level 3 National Extended Certificate. In Engineering which must include a Distinction in Calculus to Solve Engineering Problems. In the former BTEC Level 3 Extended Diploma (QCF) in Engineering must include Distinction in the Further Mathematics for Engineering Technicians unit. GCSE (or equivalent) Mathematics with at least grade 6 is essential (or grade B). You should also have a broad range of GCSEs 9-4 (A*-C ), including good grades in relevant subjects. Highers must include Mathematics, grade A. We would normally expect you to have an Advanced Higher in Mathematics (grade B). You should have a broad range of GCSEs A*-C (9-4), including good grades in relevant subjects. Evidence of existing academic ability in Mathematics is essential (normally with a final grade of at least 8.0). Relevant state (Year 12) High School Certificate, and over 92% in the ATAR or UAI/TER/ENTER, or a Queensland OP of 3 or better. Evidence of existing academic ability at a high level in Mathematics is essential. Reifeprüfung or Matura with an overall result of 1.8 or better for first-year entry. Apolytirion of Lykeion with an overall average of at least 18 or 19/20 will be considered for first-year entry. A score of 15/20 in the Apolytirion would be suitable for Foundation Year entry. Find out more about Foundation Years. Højere Forberedelseseksamen (HF) or studentereksamen with an overall average of at least 8 on the new grading scale. Pass Ylioppilastutkinto with overall final result of at least EEEE, including Mathematics. French Baccalauréat with an overall final result of 14/20. You will need to be taking the science strand within the French Baccalauréat with a final result of at least 13/20 in Mathematics. You will need a very good final result in Mathematics (at least 12/15). You must also have either Apolytirion pathway in Mathematics with a score of 19 or the Pan Hellenic in Mathematics with an overall score of 17. You must have some advanced/higher level ability in Mathematics, and will need to complete both the Compulsory and Extended Mathematics components. Erettsegi/Matura with a good averageof at least 55544. Highers must include Mathematics, grade H1. Norwegian Vitnemal Fra Den Videregaende Opplaering - Pass with an overall average of at least 4.5. Bachelor (Pass) degree in arts, commerce or science. Pass Matura with least 3 Extended level subjects including Mathematics in the 80th percentile. Please note: Our entry requirements are guidelines and we assess all applications on a case-by-case basis. Diploma de Bacalaureat with an overall average of 9.
and to include grade A in Mathematics. Yes. Find out more about ATAS clearance. Yes. Find out more about transferring into Year 2 of this course. We don’t accept transfers into the third or final year. You join all first-year students in the School of Engineering and Informatics in a team-based, week-long activity, the Global Design Challenge. Each team designs a solution to a problem faced by a community in the developing world. You develop transferable skills, benefiting both your studies and your future employability. You develop your technical, team-working and transferable skills, and apply what you have learnt in your studies to a business environment. There is guided preparation early in your course to help you find, secure and succeed in your placement. Find out more about placements and internships. Find out about the latest award-winning design from one of our placement students. Studying Mechanical Engineering at Sussex. mechanical engineer, Ford Motor Company. You can also meet graduate employers at careers events. Recent sessions have included talks by IBM and Atkins, and advice on applying for graduate schemes.